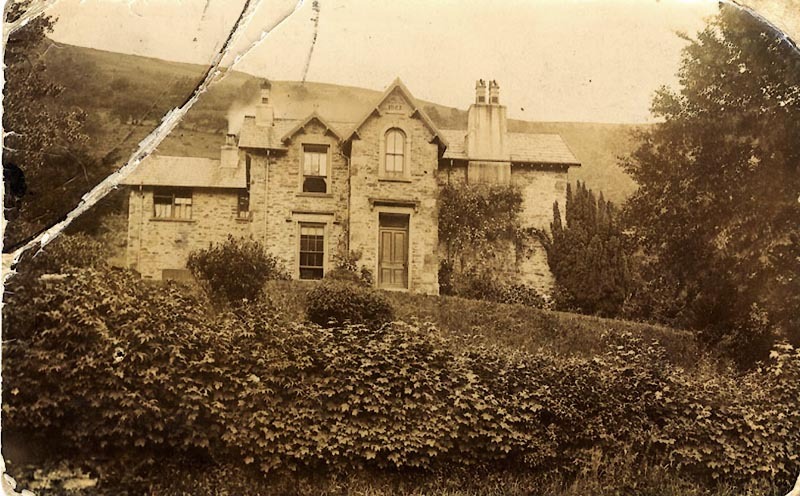 Postcard, sepia-toned photograph of the Vicarage for St. Mary's Church, Longsleddale (now Capplebarrow House), showing the datestone "1863". 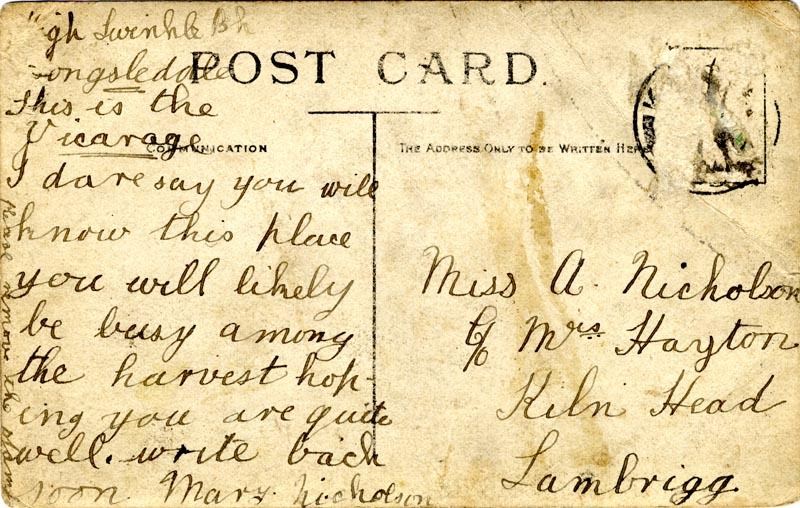 On the back, the message is from Mary Nicholson of High Swinklebank and sent to "Miss A Nicholson" at Lambrigg. The Nicholson family appear in records at High Swinklebank from 1905 to 1918, and Mary was living there in 1911, for the census and at her marriage, then she moved to Windermere. The stamp was removed, as instructed, so the postage date is unknown, but it may have been around 1910: the back of the card is divided to accommodate a message as well as an address.